The doctrine of the Trinity confounds many Christians. Because they do not have a proper understanding of this truth, they therefore lack the means to make it meaningful in their theology, worship, and everyday life. Resurrecting the Trinity will change this. In non-academic prose, this book explains the fuzziness and apathy surrounding the Trinity. It provides a fascinating and erudite journey as to how it got this way, and then goes on to show how it is the center of everything and how this glorious doctrine exudes with love, vitality, and richness. An expert in historical and systematic theology, the author contends that \"the existence of God as Trinity was the central affirmation of the ancient church and the truth from which all other theological understanding flowed. However, for us Western Christians (both Protestant and Catholic) the Trinity has faded into obscurity, the light shed by its reality dimmed to the point of nearly flickering out. While we still verbally affirm the truth of the Trinity, for all practical purposes we have lost its meaning, and in the process lost the biblical picture of Jesus Christ as Lord of creation as well. Were we to deny the Trinity altogether, it is doubtful much would change in our churches on a day-to-day basis.\"
Resurrecting the Trinity: A Plea to Recover the Wonder and Meaning of the Triune God by Sawyer, M. James was published by Weaver Book Company in July 2017. 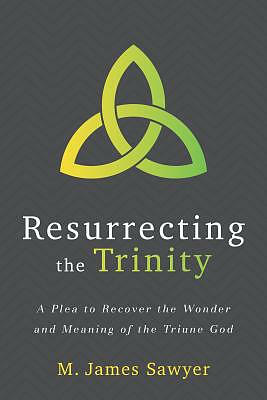 The ISBN for Resurrecting the Trinity: A Plea to Recover the Wonder and Meaning of the Triune God is 9781941337684. Be the first to review Resurrecting the Trinity: A Plea to Recover the Wonder and Meaning of the Triune God! Got a question? No problem! Just click here to ask us about Resurrecting the Trinity: A Plea to Recover the Wonder and Meaning of the Triune God.